This knitted Santa mug cozy, grabbing his belly is adorable and funny and exactly how a happy and festive mug coat should be! 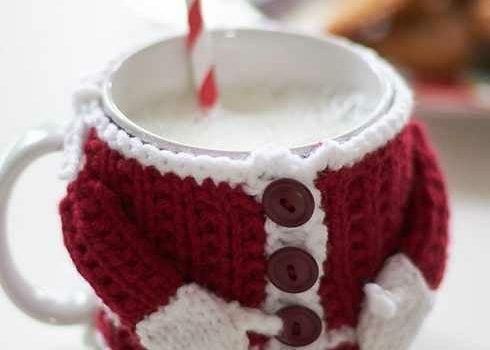 The joyous Santa inspired mug cozy will make you happy just by looking at it. 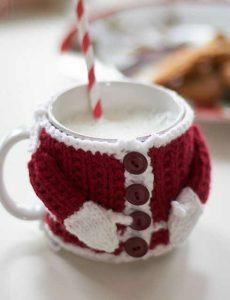 Santa’s Mug Cozy by Bernat Design Studio is a very easy pattern that is perfect for gifts as it is very adorable and everyone loves it. 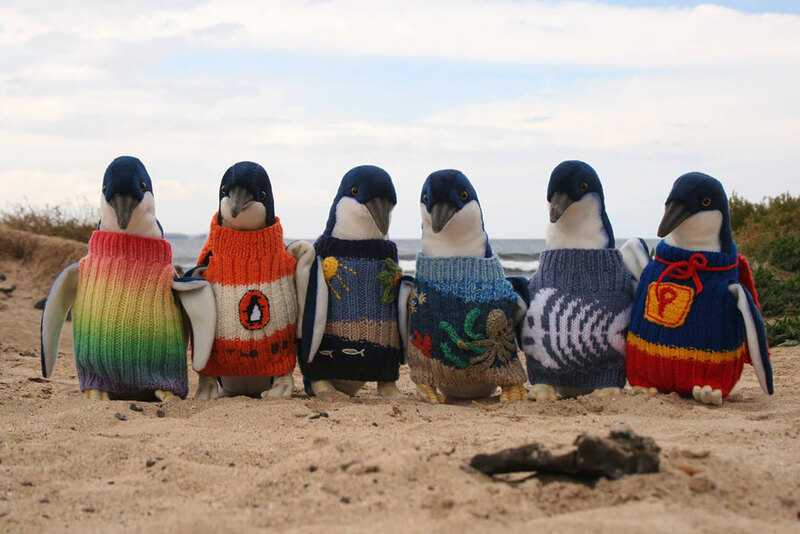 Note: 1 ball each of MC and A will make 9 Cozies.